Interviewing Capt. Steven D. Lauver is not unlike walking into any co-working space in town and asking the first millennial with a MacBook what they’re building. The difference is that Lauver and I spoke in a nondescript room somewhere in the depths of the Pentagon, and I had to try not to be distracted by the model fighter jets that populate the room’s shelves as he breathlessly explained his big idea. Lauvner is a cofounder of the Air Force Technology Accelerator, an immersive three-month program in partnership with the entrepreneur network TechStars, which will kick off in January 2018 in Boston. Creating the program allows him to embody federal leaders’ perennial promise to the young and talented, especially in tech: Come work for your country, you can do cool stuff here (and we’ve got huge, important missions). The Air Force pilot speaks with the kind of infectious excitement that compels you to believe change is not only possible, but very much underway. The goal of the accelerator is to identify and promote “financially sustainable, technologically viable and operationally useful dual-use technology to get after real-world government problems,” Lauver said. A lofty mission, yes. But like many innovations, this program has a humble origin story. 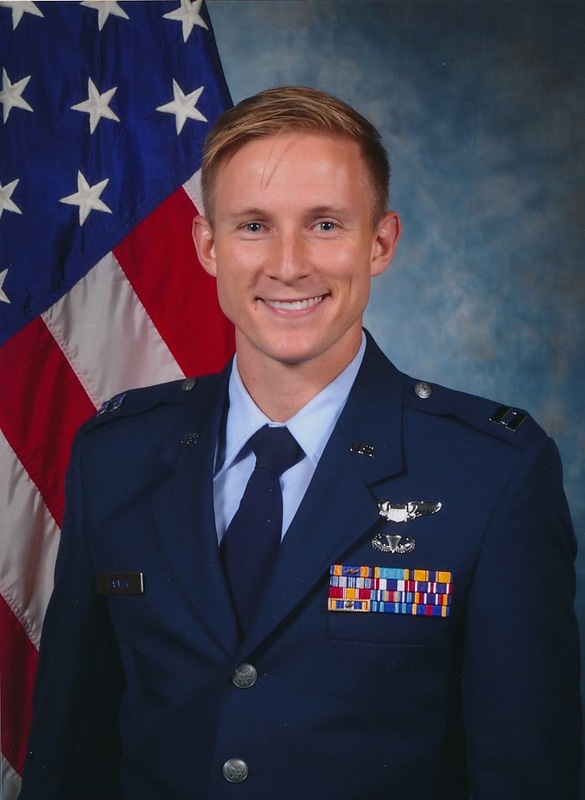 Rather, while studying at Squadron Officer School (a six-and-a-half week leadership program for Air Force captains) in 2016, Lauver and his classmates took part in an exercise called Think Tank — a sort of hackathon for challenges facing the service. Participants are given a challenge statement and asked to come up with a novel solution. Past problem sets have included the issue of how to boost pilot retention or improve on-the-battlefield decision making. “In our case it was ‘Create an innovation program for the Air Force,'” Lauver said. Armed with this prompt, he and a group of eight others went off and wrote an essay detailing a solution — an accelerator program. Based on the contents of that essay, Lauver said, his team was chosen to keep working through the idea and pitch it to the generals to who lead the school at the end of the six weeks. Lauver does admit that it’s “pretty rare” for think tank papers to evolve like his has. “I think we had the perfect storm of conditions and people involved to make it happen,” he said. So what does execution look like? The Air Force inked a $2.4 million contract with Powered By TechStars, the component of the Boston-based company that runs bespoke corporate accelerator programs for the likes of Amazon, General Electric and more. TechStars will take care of the day-to-day management of this “bootcamp on steroids for startups” (as Lauver describes it) — a fast-paced educational program for entrepreneurs who have interesting technology but need a little guidance on the business side of things. Applications for the program opened Sept. 13, and closed Nov. 5. For the first cohort, the Air Force is specifically looking for companies developing counter-drone technologies with a dual purpose in the private sector and the government. This is a pretty broad mandate though, Lauver said — the companies could be working on sensor tech or tracking tech or anything that could mitigate the damage a bad actor might inflict with a drone, really. Now that applications are in, the Air Force and TechStars are working together to review the companies and pick the 10 best based on financial and technical viability as well as the Force’s operational interest. They aim to decide in December, Lauver said — the course will begin Jan. 22, 2018. And why would a startup want to be part of the program? The government is not always seen as startup-friendly, Lauver concedes. But things are changing, Lauver said. There’s mission imperative — “we have really compelling, important problems in the government” — and the government is making efforts to be a better partner. Both private sector investors and government will be present in the room when the accelerator wraps up with a Demo Day in April. Another reason Lauver is a perfect cheerleader is because he knows how to talk about the context. For example, in the DOD innovation ecosystem, the Air Force Accelerator will function as a lead-generation tool for DIUx’s contracting solution, while In-Q-Tel is an investment mechanism. The accelerator does not invest in cohort companies, but it would be cool, Lauver said, to see an accelerator company emerge ready to go through the DIUx contracting process. So does this mean we’ll be seeing more Air Force Technology Accelerator cohorts in the future? Perhaps. But Lauver is careful to define his innovation as one means to a desired end — not the end itself.